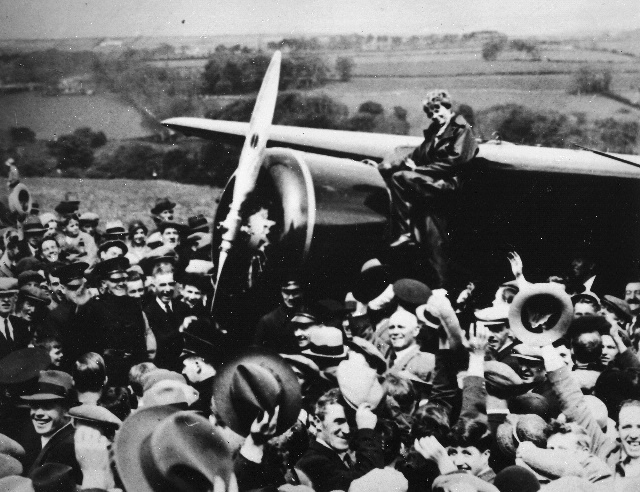 Aircraft Nut: Did Amelia Earhart end up a cast-away? Photos unearthed by a Christchurch archivist could help finally solve a 75-year-old mystery: what happened to Amelia Earhart? 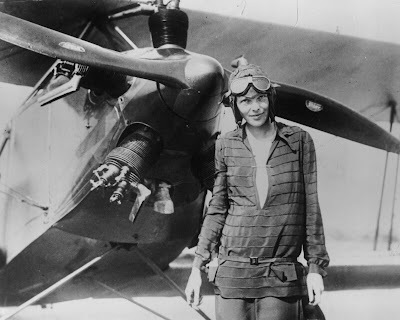 Amelia Mary Earhart ( July 24, 1897 – disappeared July 2, 1937) was an American aviation pioneer and author.Earhart was the first female pilot to fly solo across the Atlantic Ocean.She received the U.S. Distinguished Flying Cross for this record.She set many other records,[ wrote best-selling books about her flying experiences and was instrumental in the formation of The Ninety-Nines, an organization for female pilots. During an attempt to make a circum-navigational flight of the globe in 1937 in a Lockheed Model 10 Electra, Earhart disappeared over the central Pacific Ocean near Howland Island. Fascination with her life, career and disappearance continues to this day. Tall, slender, blonde and brave, Earhart disappeared while flying over the Pacific Ocean on July 2, 1937 in a record attempt to fly around the world at the equator. Her final resting place has long been a mystery. For years, Richard Gillespie, TIGHAR's executive director and author of the book "Finding Amelia," and his crew have been searching the Nikumaroro island for evidence of Earhart. A tiny coral atoll, Nikumaroro was some 300 miles southeast of Earhart's target destination, Howland Island. A number of artifacts recovered by TIGHAR would suggest that Earhart and her navigator, Fred Noonan, made a forced landing on the island's smooth, flat coral reef. According to Gillespie, who is set to embark on a new $500,000 Nikumaroro expedition next summer, the two became castaways and eventually died there. "We know that in 1940 British Colonial Service officer Gerald Gallagher recovered a partial skeleton of a castaway on Nikumaroro. Unfortunately, those bones have now been lost," Gillespie said. 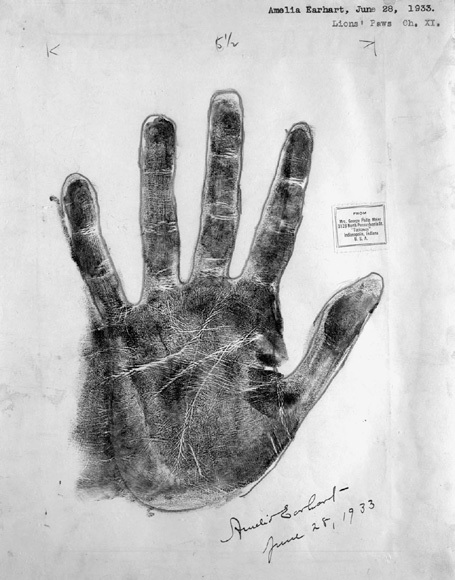 The archival record by Gallagher suggests that the bones were found in a remote area of the island, in a place that was unlikely to have been seen during an aerial search. A woman's shoe, an empty bottle and a sextant box whose serial numbers are consistent with a type known to have been carried by Noonan were all found near the site where the bones were discovered. "The reason why they found a partial skeleton is that many of the bones had been carried off by giant coconut crabs. There is a remote chance that some of the bones might still survive deep in crab burrows," Gillespie said. Although she did not succeed in her around-the-world expedition, Earhart flew off into the legend just after her final radio transmission. 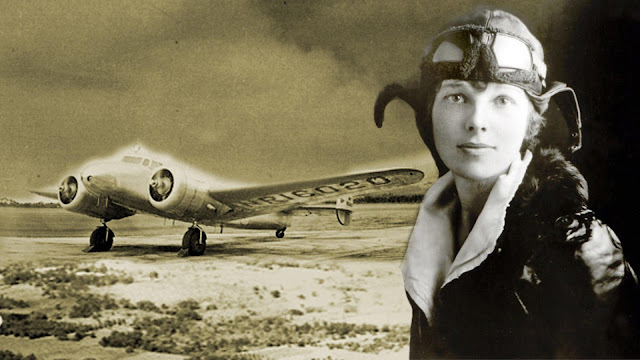 The photos found by Matthew O'Sullivan, the keeper of photographs at the Air Force Museum in Christchurch, could prove Earhart spent her final days as a castaway on a remote island north of New Zealand, and that she didn't, as some believe, die in a plane crash. Earhart and her navigator Fred Noonan were last seen taking off in her twin-engine Lockheed Electra on July 2, 1937, from Papua New Guinea en route to tiny Howland Island, some 2500 miles away in the central Pacific. Radio contact with her plane was lost after she reported running low on fuel hours later, and the massive sea-and-air search that followed was unsuccessful. Earhart's plane was presumed to have gone down, but it has never been known whether she survived, and if so, for how long. The International Group for Historic Aircraft Recovery (Tighar) has long theorised that after Earhart's plane went off course while en-route to Howland Island, the pair made a safe landing on a reef near Nikumaroro Island in Kiribati, previously Gardner Island, and made it safely to shore, living out the rest of their days as castaways. O'Sullivan said he was first contacted by Tighar about 10 years ago seeking information on the Pacific Islands and sea-plane landing areas nearby in their ongoing bid to explain Earhart's disappearance. Another request from the group for photos about a month ago had O'Sullivan thinking about Gardner Island again, and while he was rifling through his collection on an unrelated request, he unearthed photographic gold. ''I was looking through my registry of aerial films and there was this entry saying 'unnamed atoll' and I just thought, 'Well, I'm there having a look, I might as well have a look at this one as well','' he said. After notifying Tighar of his find, the group responded the next day, telling O'Sullivan he had discovered the ''complete set of aerial obliques taken on December 1, 1938'' by an aircraft taking photos for the New Zealand Pacific Aviation Survey. They believe the photos show where Earhart's plane went down, two years later. A representative from Tighar was now organising a trip to New Zealand with a forensic imaging specialist to conduct further research, O'Sullivan said. While the find ''wasn't a big deal'' to O'Sullivan, he acknowledged the implications it could have on a mystery that has plagued researchers for over 75 years.